It's been far too long since I've posted. However, I recently found out about a really cool project, and it was the jolt I needed to start up Trich-y Business again. Because of this blog, I was contacted by Jillian Corsie, a filmmaker in New York about a documentary she is planning to make, all about trichotillomania. Jillian wants to use her talents to spread awareness about trichotillomania. 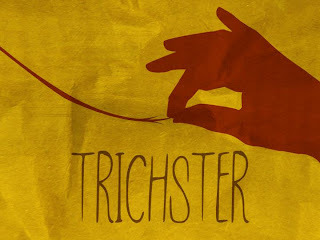 The documentary, called Trichster, will be following four trichsters for a year and document their experiences with hair pulling. The purpose of the film is to spread awareness of the disorder. Many people don't even realize hair pulling has a name, let alone that millions suffer from it. Okay, I just made that number up. I have no idea how many people have trichotillomania. But it sounds cooler if I say millions. Ultimately, I believe Jillian has the same goal as I do — to share experiences, to create a community, and shed light on an issue that is surrounded with secrecy and shame. She is in the beginning stages of making the film. You can click here to visit the film's website and learn more about the project. If you want to help, you can spread the word or make a donation to her Kickstarter site, which is a site that makes it easy to donate to community projects. She's hoping to raise $10,000 by August 17 to be able to make the film. On the Kickstarter page is an intro video that shares more about the project. I'm pretty excited about this idea. And I promise to start updating more often.